It was a beautiful day across the island today, the skies were blue and the sun was shining bright. We had temperatures in the upper 50’s. The winds were out of the west-north-west around 6mph for the majority of the day. We did not get any fishing reports today. There were a few folks trying their luck though. The inshore boats are duck hunting this time of year, but Sunday’s are no hunting days. They will be back at it tomorrow. The offshore fleet has a few charters this time of year, but most do commercial fishing, mainly for king mackerel. Hoppe’s BoreSnake is the fastest bore cleaner on the planet. One pass loosens large particles, scrubs out the remaining residue with a bronze brush, then swabs it all spotless with a cleaning area 160x larger than a standard patch. Add a few drops of Hoppe’s No. 9 Lubricating Oil or Hoppe’s EliteGun Oil and your gun’s ready for storage. The world’s quickest, three-step bore system. Extremely packable. Available for rifles, shotguns and pistols. Brass weight on the pull cord is stamped with the size. Machine washable. Patented one-piece design. Today was much cooler with mostly sunny skies. The winds were from the west at 5-10 mph and the temperatures were in the mid 40’s. On the Buxton beaches black drum, a few speckled trout and puppy drum were reported. Over on the Frisco beach some sea mullet and a few puppy drum were caught. Down on the Hatteras beach some puppy drum were caught. 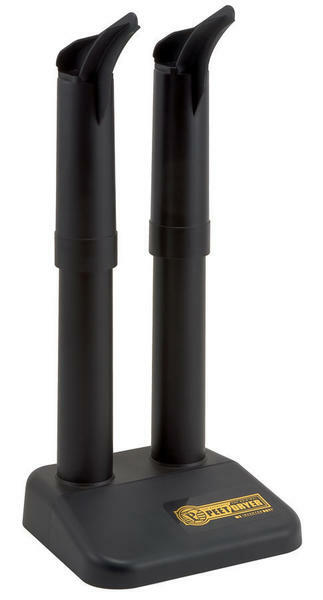 The Peet® Shoe Dryer is the shoe dryer that safely dries any shoe or boot overnight. From sneakers to chest waders, even soaking wet footwear is thoroughly dry and comfortable the next day. Great for removing moisture and odor caused by perspiration or wet weather. Works on leather, plastic, rubber, vinyl, cloth, gortex, canvas, etc. The gentle drying action circulates warm air through shoes and boots. Optional accessory extension dries hip boots and chest waders overnight. One pair needed to dry hip boots, two pair needed to dry chest waders. Today was a dreary day. We had winds out of the southeast, south and southwest. It blew 15 mph this morning, breezed up a bit by mid morning and then calmed down to 10 mph this evening. The temperature was around 68F. We have not had any reports for today, other than it being rough. We warmed up today with temps nearing 60 this afternoon. Winds were out of the west all day with gusts reaching 24 mph. We had reports of slot size red drum being caught on the Frisco and Hatteras Village beaches. There was no inshore or offshore fishing report for today. Today started calm and cool with temps in the mid 30s, reaching the mid 40s this afternoon. Winds picked up this afternoon with gusts nearly reaching 30 mph. Some scattered rain showers started mid afternoon. We had reports of slot size red drum being caught on the Frisco beaches. The duck hunters that stopped in reported having a really good day. Today was another windy day on Hatteras Island. We had winds out of the northwest blowing 20-15 mph and temperatures just barely over 40. There were some slot size red drum caught today. Here in Frisco and at Hatteras, even though the water was a little dirty down in Hatteras. Talked to a few folks that went duck hunting today. They had a descent day. Our Frisco Rod and Gun Coffee is some of the best coffee available. We have a variety of great Whole bean and Ground Blends. Today we had cold winds, coming out of the north at a steady 15-20 mph. Most folks just rode the beach today, a few tried their luck, but the water was a little dirty. We did not hear of any fish being caught. There was no inshore or offshore report for today. A new member joins Benelli’s Legacy line-up with the Legacy Sport, a race gun that clay shooters will instantly recognize as not only a beautiful competition gun, but a serious one. The Legacy 20 gauge and 12 gauge shotguns have all the features—gel recoil pad, ported barrel, Crio chokes and barrel—and all the advantages of a semi-auto, and the slimness and balance of an over & under. The Legacy Sport is an elegant, smooth-swinging gun that combines the best quality materials and workmanship with the most modern engineering. This product is not available for online purchase. Please call us at 252-995-5366 or visit our store.